With mainstream media airplay dominated by popes, monarchs, prime ministers, and news about “the troops,” we see the globalization of values of pacification, state-dominance, counterinsurgency, and threat, producing a new roster of messages crowding “news time” beyond the normalized spate of commercial messages. 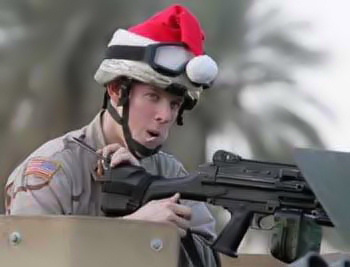 Christmas is the new fighting ground with the nine-elevening of the world, troops are praised and worried over, insurgents are loathed — again, propping up the butcher while denouncing the meat. That Yahoo! and the Associated Press should choose Christmas day itself for an article titled “Homeland Security forecasts 5-year terror threats,” pasting it on the front page as the number one article, tells us where they think we ought to direct our attention. It’s an utterly empty and seemingly pointless article filled with fantastic speculation, the only purpose of which must be simply to perpetuate fear, at all times, even when people might be most relaxed and more in tune with non-state and non-commercial spheres of life. Remember, while you’re having fun at home, the threat is still out there. This is counterinsurgency of the domestic mind, at its Orwellian worst. It also shows the extent to which governance has turned fully pathological. I would not be surprised to see new school history texts produced, divided into two periods only: The Pre-9/11 World (99.99% of human history), squeezed into a couple of chapters, followed by a massive section titled The Post-9/11 World. Hysteria finally has its own numerical code. 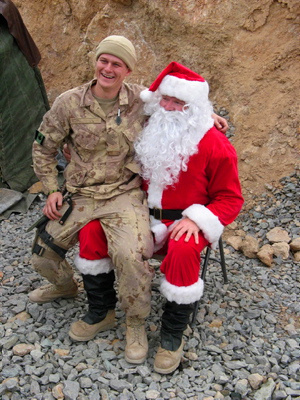 We are also told, almost triumphantly by some headlines, that at least Iraq now has a new official holiday: Christmas. While most media outlets could not ignore their own previous flood of articles since 2004 detailing the exodus of Christians from Iraq, what did escape them was this: this is a cosmetic bit of public relations by the new Iraqi ethnic-cleansing-state propped up by U.S. forces. Christmas can now be a national day…now that there are fewer and fewer Christians. A far fetched analysis? Over stated? Well let’s see some news clippings, since I began by speaking of specific kinds of speakers given prominent space by the mainstream media on Christmas day itself. “People are touched by events which have their roots far across the world. 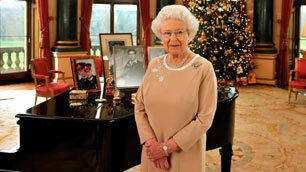 Whether it is the global economy or violence in a distant land, the effects can be keenly felt at home.”…”When life seems hard the courageous do not lie down and accept defeat; instead they are all the more determined to struggle for a better future,” she said, standing by a piano adorned with pictures of her family. Britain has taken a significant hit in the global economic downturn. Retail icons, such as Woolsworths, have collapsed, and the unemployment rate is nearing two million as the British pound drops to record lows against the U.S. dollar. “Some of those things which could once have been taken for granted suddenly seem less certain and, naturally, give rise to feelings of insecurity,” the Queen said. 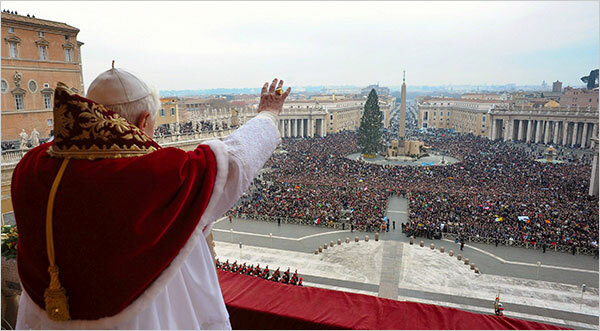 “Wherever an increasingly uncertain future is regarded with apprehension, even in affluent nations: in each of these places may the light of Christmas shine forth and encourage all people to do their part in a spirit of authentic solidarity,” he said….The Vatican…has been particularly outspoken in its concern about the state of Christians in Arab lands, who increasingly face persecution and emigration….” This light, which brings transformation and renewal, is besought by the people of Zimbabwe, in Africa, trapped for all too long in a political and social crisis which, sadly, keeps worsening,” he said. As worshippers quietly listened to the sermon and received communion in a two-hour service, a quick count of the congregation of around 200 showed that about 75 percent of them were women….The lopsided gender ratio is a grim reminder of the violence Iraq’s beleaguered minority Christian community has endured since the 2003 US-led invasion sparked vicious sectarianism in this multi-faith nation….” A lot of men were kidnapped, killed or have been unemployed since 2003, so (many) have left, especially Christians,” said Sundus Butros, 38, who was directly affected by the violence when one of her brothers was kidnapped in 2006….Around 800,000 Christians lived in Iraq at the time of the 2003 US-led invasion, but the number has since shrunk by at least a third as members of the various communities have fled the country, according to Christian leaders. This year marks the first time in Iraq that Christmas is an official national holiday. 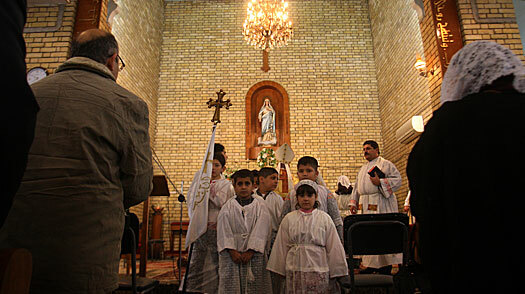 …But others noted that even as conditions in Baghdad improve, Iraq’s persecuted Christian minority continues to stream out of the country. At Mar Yousif’s service on Christmas morning, the head priest, Pios Cacha, who has seen his congregation dwindle from 1,200 families to 650 since the U.S. invasion, led a sermon that was straightforward: Iraqi Christians should come back to Iraq and start rebuilding their broken country, and their community. Rule #1 for pathological governance: externalize the threat, Other the enemy, domesticate pacification. Rule #2 for pathological governance: preserve the nation, but radically change the rest of the world. Problems are abroad, only worries are at home. Zimbabwe is where human rights are violated. Forget Iraq or Afghanistan, unless, of course, it is to once more praise the sacrosanct troops. When these people were unemployed and sometimes desperate pre-troops, there were no Christmas messages from a prime minister asking us to spare a thought and a prayer for them. Once in uniform, however, all that changes, because now the right wing and the state stands to benefit from sanctimonious praises of the uniform. Courage and sacrifice are sequestered as values pertaining only to the military. It’s the new normal for this Christmas and many to come, and one hopes that consumer-citizens were too severely inebriated and too disinterested to let any of these messages penetrate their domestic spaces. Rule #3 for pathological governance: create a culture of military worship. Get people to sympathize with the troops, and they are less likely to oppose the state that made people into troops and that deployed them in imperialist wars. What is significant for me is that institutions of secular and religious authority used a “sacred” day to spread some “profane” messages. That they could do so of course stems from their monopoly on institutional power and the mass media which are trained on them to begin with, ready to report their every word. That they might be given some credit, some benefit of the doubt, or even outright support by consumer-citizens stems from the perceived “legitimacy” of their offices. This, however, requires one fundamental basis, rooted in confusion: mistaking legality with legitimacy. 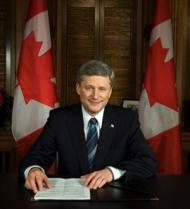 To take the example of Stephen Harper, he is the head of a legally constituted government — but with the support of only 22% of registered voters, rendering it more of a splinter than something that should have merited a hold on power, it is not a credible argument that argues that this is a legitimate government, with a right to dictate to all. Rule #4 for pathological governance: confuse legality with legitimacy. Once the state engages in violence against its own people, expect at least some of the supportive consumer-citizens to confuse might with right. Rule #5 for pathological governance: Use holy days to reaffirm currently constituted authority, and turn attention away from alternative futures. Hilariously and in a stunning display of double standards, the one world leader who did not indulge doom-and-gloom-mongering was Mahmoud Ahmadinejad. And yet the UK’s Channel 4 has been getting no end of stick saying it was “sick” to run with such a message. How dare C4 deliver an alternative view! You’re right, and that’s an interesting point. This might have something to do with what I want to post next, if I get a chance this weekend, about the “two terrors” that might explain his focus. By the way, thanks very much for visiting, I follow your blog daily and you are doing a lot of great work.